The exotic attraction most of us have to the jungle is in evidence in Guyana. The immense rainforests, giant waterfalls and abundant wildlife invoke our more romantic notions of what it would be like to be Tarzan and Guyana is betting that tourists will pay handsomely for that experience as they develop their nation into a premier ecotourism destination. Guyana's most famous natural formation is the Kaieteur waterfall. Five times taller than Niagara, the falls is equally majestic, but unlike Niagara, the falls has only a few visitors a day. It is almost completely unspoiled. It remains so well preserved because in order to get to the falls, you must either take an expensive, private flight, or make the three day trek overland with a guide and a group. Other sights to see include Shell Beach and Marshall Falls. 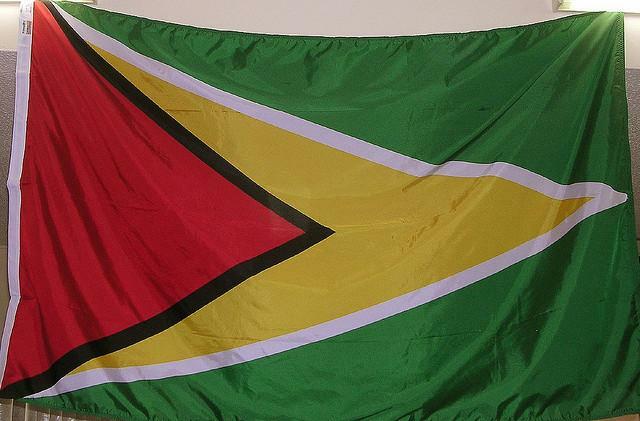 Start with: Guyana Travel Facts. For an off-the-radar travel destination, Guyana has a lot of flights. Cheddi Jagan International Airport serves Guyana's travelers, accepting and sending flights from New York, the Caribbean and Florida. Guyana's easy visa policy also makes it one of the more attractive tropical vacation destinations for last-minute trip planners. Guyana's tourism industry revolves around jungle trips and tours, so you'll be setting up a hammock for much of your stay in the country. Before and after your tour, you'll likely be staying in Georgetown, both the hotel capital of Guyana and the actual capital.